It’s important to handle fire extinguishers correctly! If your old extinguishers are still full, but in need of donating, try Freecycle or Craigslist, or ask your local schools or Scout Troops. Never let fire extinguishers go to waste. If you have old extinguishers that are not empty yet, check with your local fire department, as you may be able to have them recharged or refilled at no cost. 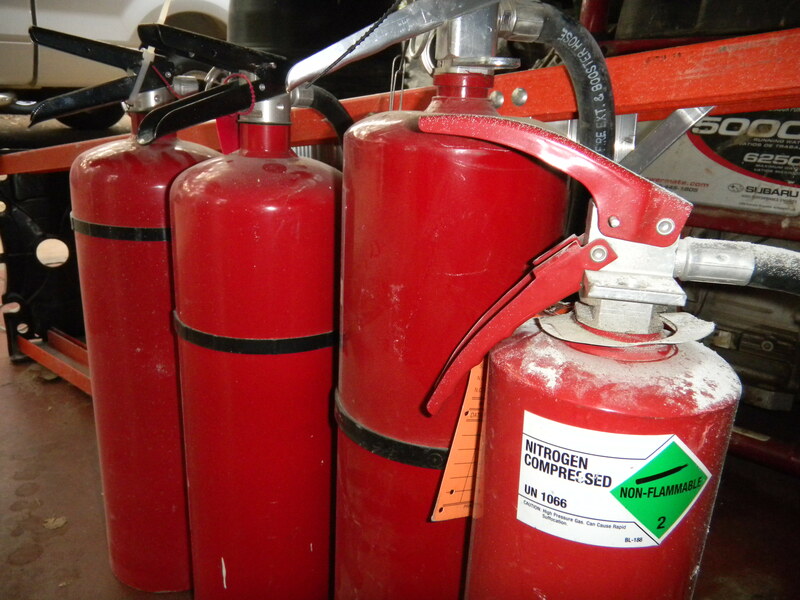 Earth 911 provides good tips on the proper disposal methods for empty or full extinguishers here…and as always, they are a great resource to find the local hazardous waste drop off facilities in your area. This entry was posted in Fire Extinguishers, Think Outside The Bin and tagged Craigslist, donate fire extinguishers, Earth911, Freecycle, recycle fire extinguishers. Bookmark the permalink.